Recently, Alipay, China’s largest third-party payment company, released its sound wave payment mobile product, which is the first time that “sound payments” have been commercialized in China. Customers can now pay for goods from the vending machines deployed by Alipay in Beijing’s subway through the sound wave payment. Last month, China Mobile, the biggest mobile network operator (MNO) in China, and China UnionPay (CUP) unveiled their latest mobile payment product – “Mobile Wallet”- at MWC 2013 (Mobile Word Congress, the world’s premier mobile industry event). The 2nd Annual eTail Conference was held from 27th to 28th November, 2012 in Shanghai. Kapronasia was invited to attend the event to speak on a few payment related topics along with other industry experts. The conference's topics included e-commerce trends and strategies, cross border shopping challenges, and IT implementation on e-payment. China Mobile, the biggest mobile network operator in China, continues to grow its mobile payment business which was first launched in 2010. At the end of September 2012, China Mobile had 60 million registered mobile payment users with a total transaction value of reached 25 billion RMB, 2.5 times as much as in 2011. 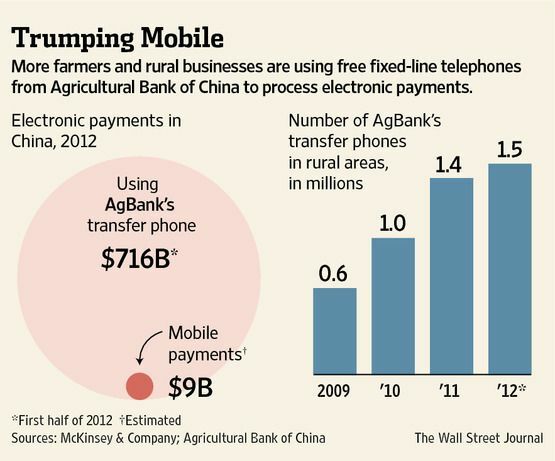 In 2012, other key players in China’s mobile payment market also expanded their business. At the end of October 2012, the number of China Telecom’s mobile payment users exceeded 8 million; China UnionPay also announced that so far it has 4 million mobile payment users, compared with 2 million in 2011. The data from Alipay (China’s biggest third-party payment company) showed that as of the end of May 2012, Alipay had 10 million users conducting payment through their mobile phone and the number was increasing by about 90,000 every day. We expect that China’s mobile payment business will grow faster in the future, with the number of mobile users surging to 400 million in 2015. Kapronasia is pleased to announce the next webinar in our ongoing series covering China's Financial Services Industry. The November 21st webinar will be looking at the current status and future development of China's Credit Card industry. More information on the webinar and information on how to register can be found here. The webinar is free and open to all. Kapronasia's 3rd Party Online Payment Industry webinar recording is now available in the webinar section of kapronasia.com. Thank you to everyone who attended. We hope you found it useful. Please keep an eye out for Kapronasia's Q3 and Q4 webinars. Kapronasia's latest report looking at the state of China's 3rd Party Online Payments Industry is now available on Kapronasia.com under the research report section. Kapronasia's latest report looking at the state of China's Prepaid Card Industry is now available on Kapronasia.com under the research report section. Kapronasia will be hosting a webinar on August 8th, 2012 looking at China's Online Payments market. For more information on the webinar, please see the webinar description here or to register directly, go here. The webinar is complimentary and will be looking at aspects of Kapronasia's soon to be released Online Payments Market in China report. A recording of Kapronasia's Prepaid Cards in China webinar is now available for viewing on Kapronasia.com. To access the recording, click on the webinar link at the top of the website. Recently, a WTO dispute panel, in response to the recent US complaint, said China is breaking the WTO rules by maintaining CUP as a monopoly supplier for the clearing of certain types of RMB-denominated payment card transactions. The specific areas where the panel determined that China had discriminated against foreign bank card suppliers are that 1) China requires all payment cards issued in China to work with the CUP network and to carry its logo, and 2) China forces all payment terminals to accept CUP network. If you remember from our previous commentaries, in 2011, the People’s Bank of China (PBOC) mandated that any company providing payment products or services be licensed in order to operate. This brought a much needed dose of regulation to what was previously quite an unregulated industry. Since then, 4 rounds of payment licenses have been approved, the last being on June 28th, when another 95 payment companies qualified to provide payment products and services in China. According to PBOC (the People’s Bank of China), driven by the proliferation of online banking in China, in 2011 the total online payment transaction value reached 700 trillion RMB, with a 33% growth rate.